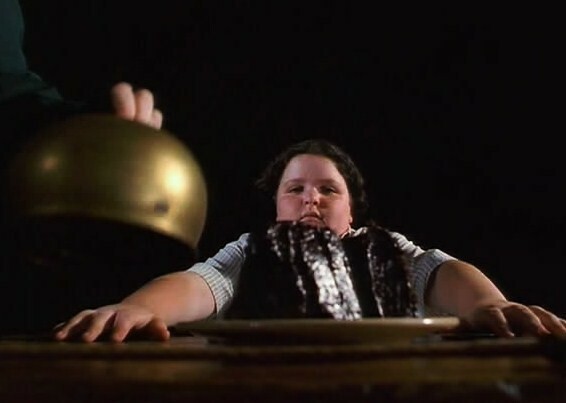 From all the chocolate cakes I’ve eaten, and that’s a lot of chocolate cake, I have never had one that meets my chocolate cake expectations. I wanted to make ‘that’ cake. I decided to add to that and make it even more Bruce -worthy. 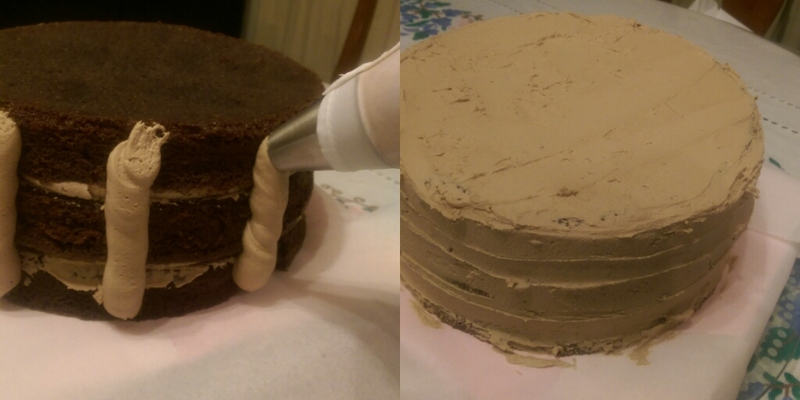 I made the cake as described, it does take a bit more effort than your normal chocolate cake recipe, but it’s totally worth it. 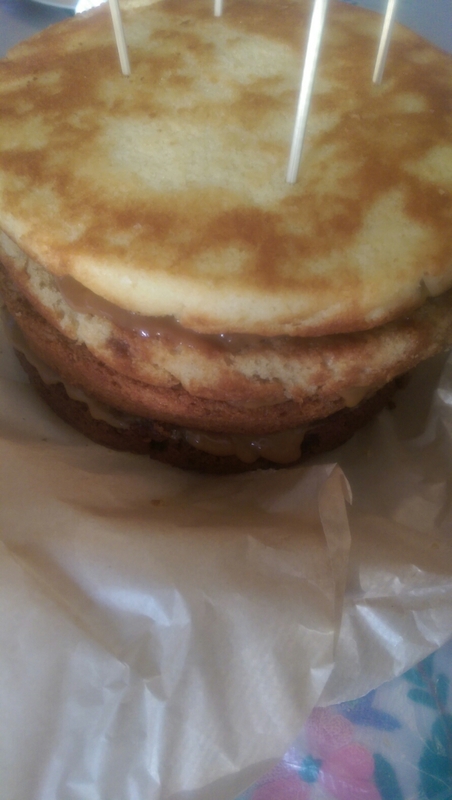 I made the cake into three layers using three 8″ sandwich pans. I whisked the butter til softened then gradually whisked in the icing sugar (I mix gently before whisking to stop an icing sugar cloud from forming) until fully combined, then a few drops of milk (aprox 20ml, til you reach the desired consistency). Whisk for 5mins. 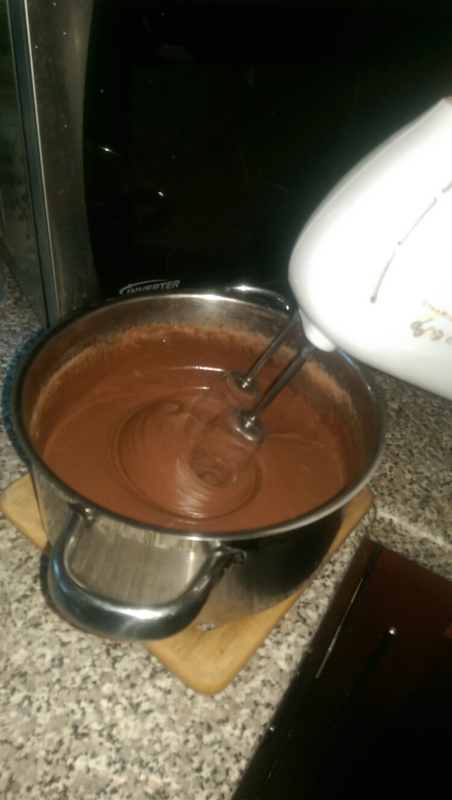 Add the nutella and then whisk until fully combined. 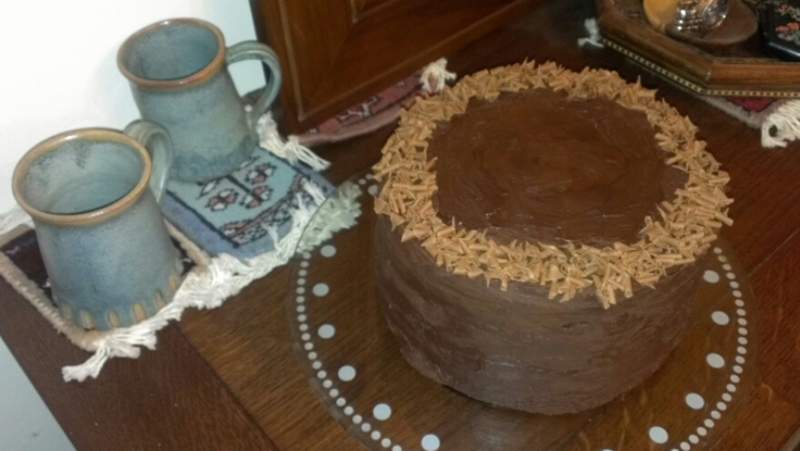 Now that cake looks scrumpdidliumptious! 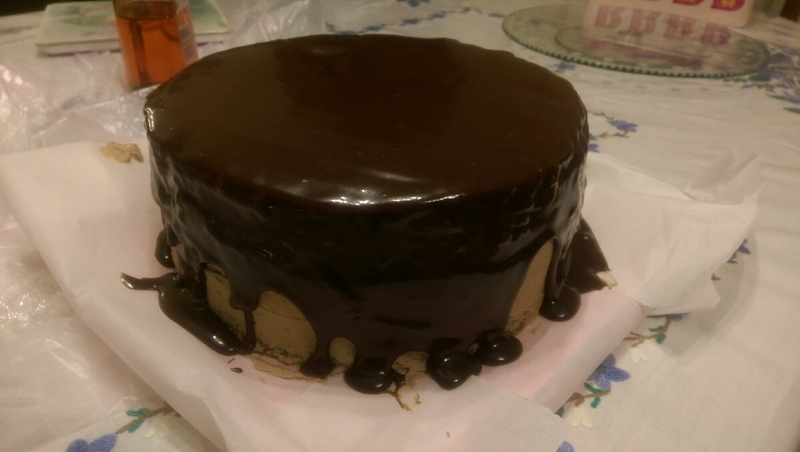 Even though I didn’t get a chance to try it (it was a gift), I have been told it tasted as good as it looks. 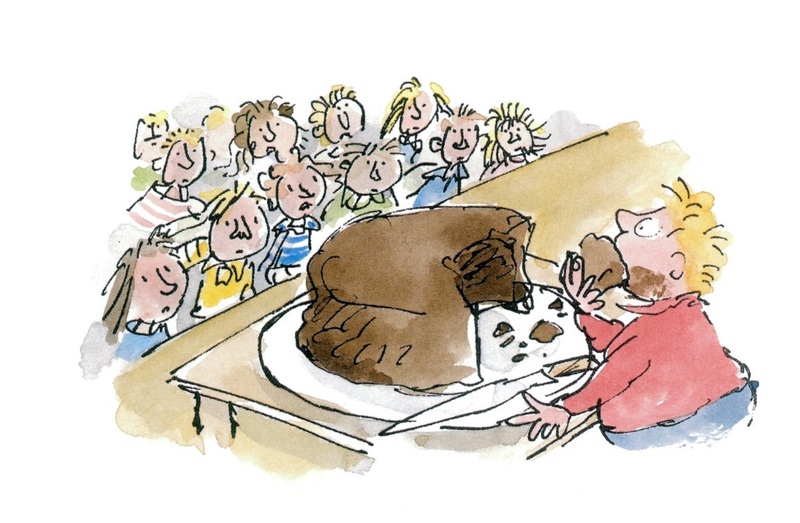 Having made the cake before and tried the buttercream and fudge sauce, I can only imagine it must have tasted amazing and would have been happily eaten whole by Bruce. 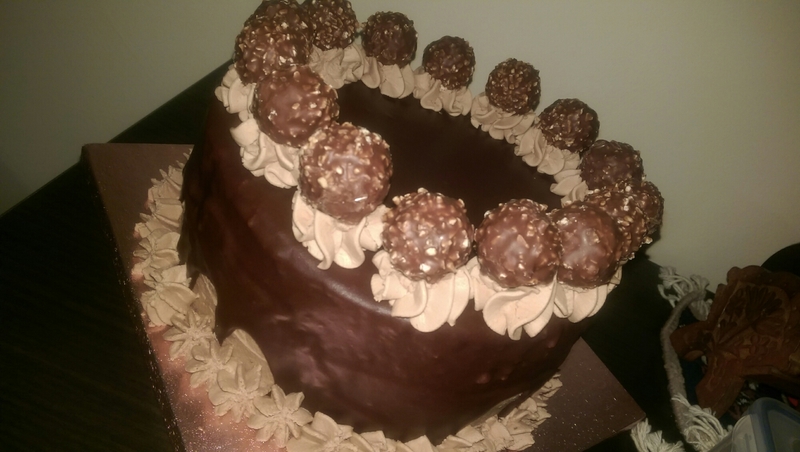 This entry was posted in cake and tagged cake, chocolate, chocolatecake, ferrerorocher, nutella on February 24, 2015 by maryambakes. 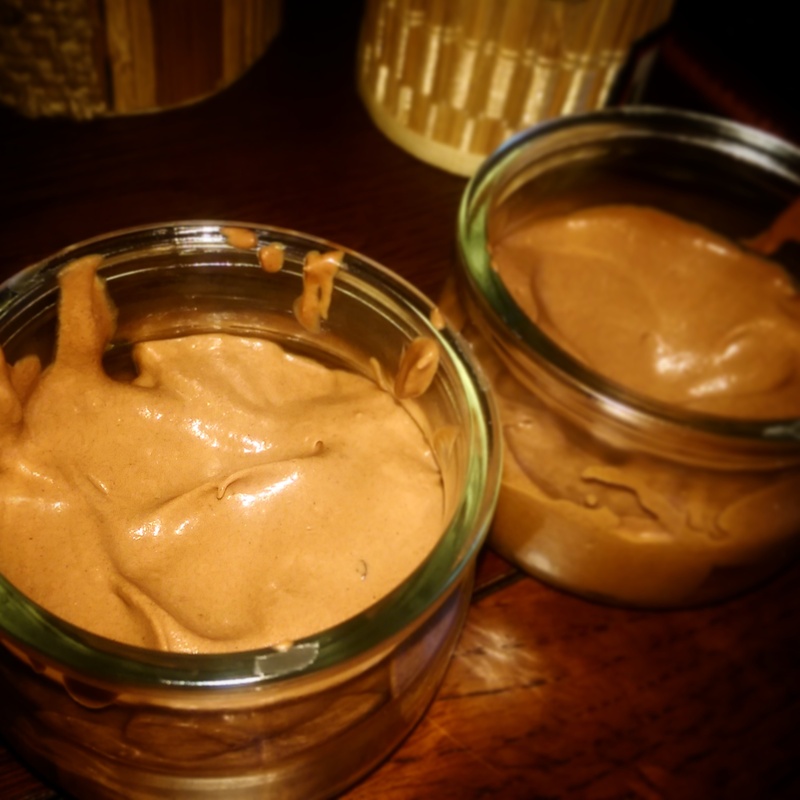 Thank you to Arielle from With all my Affection for sharing this super easy to make chocolate mousse. This takes 5mins to make and tastes absolutely delicious. The original recipe says to use a tin of coconut milk left in the fridge overnight and separating the thicker ‘cream’ from the water. A few reviews said that it came out too watery so I decided to use coconut cream instead which is the same thing with less water. I did still leave it the fridge overnight. 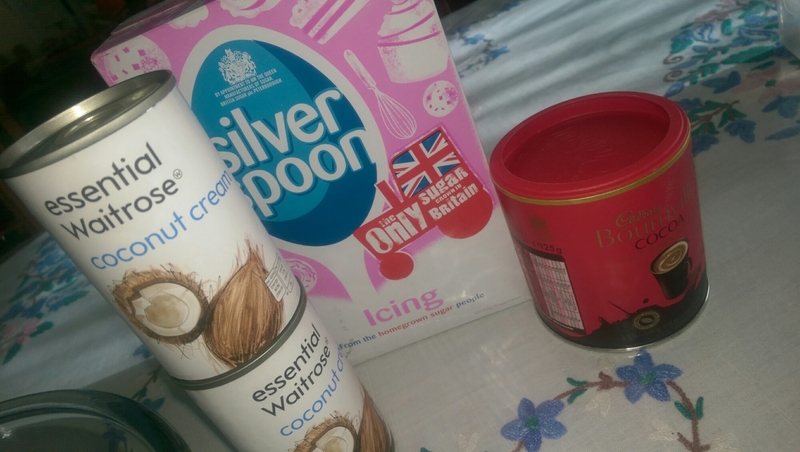 Empty the coconut cream into a bowl and sieve in the cocoa powder and icing sugar (I altered the quantities slightly). 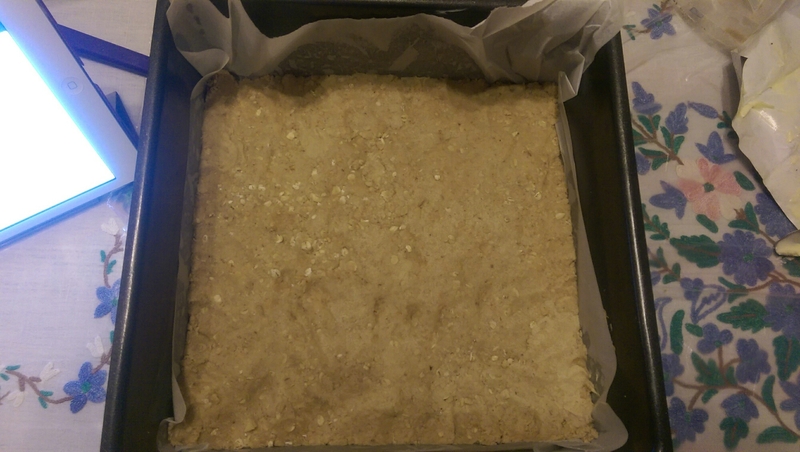 I was initially apprehensive as it seemed really watery initially and wasn’t sure if it’d thicken up. After a few mins of whisking it had thickened up nicely and had a moussy consistency. 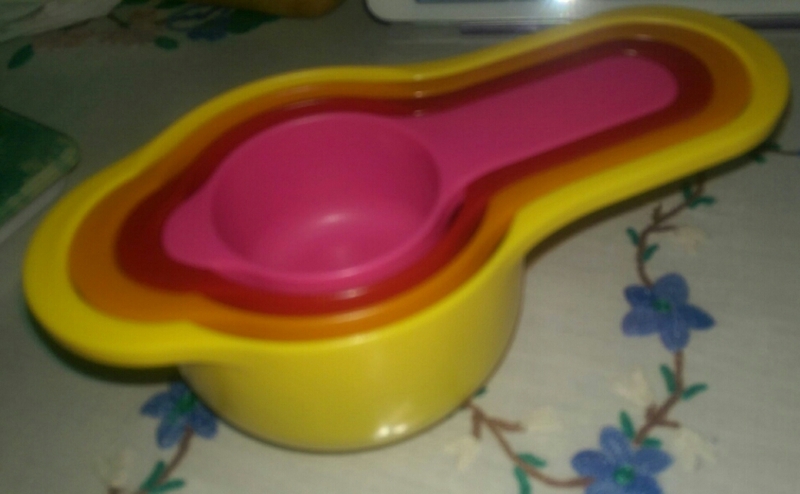 I should have piped it into my serving dishes but was feeling lazy so spooned it in. It tasted really chocolatey with a subtle hint of coconut. This is a great recipe for when you need a quick dessert hit, and its vegan/dairy free/egg free (if you are making it for someone who suffers from dairy allergies make sure the cocoa powder doesn’t contain whey). 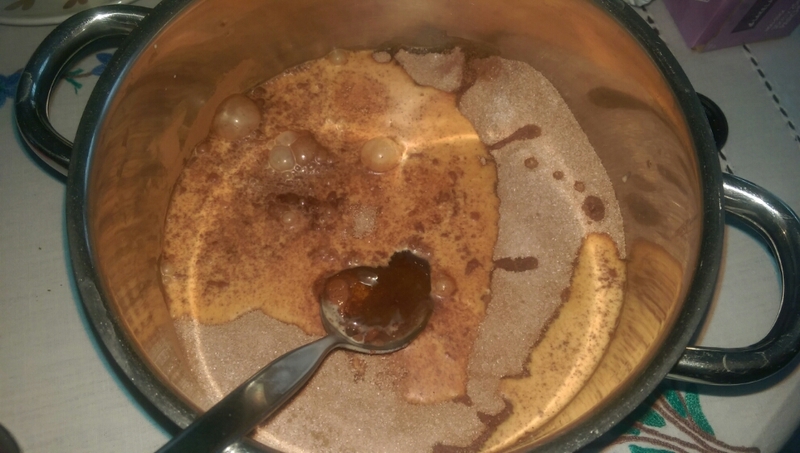 This would also taste delicious omitting the cocoa powder and using vanilla essence. This entry was posted in dessert, no bake and tagged chocolate, coconut, dairyfree, eggfree, mousse, vegan on February 15, 2015 by maryambakes. What do I like love more, caramelitas or brownies? 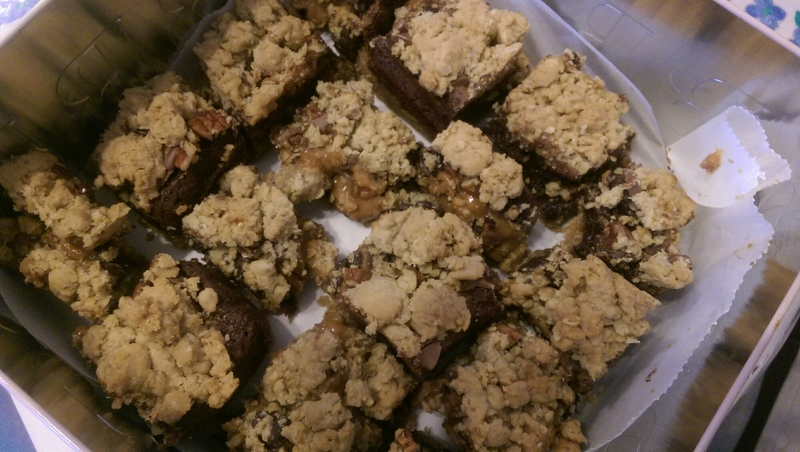 I couldn’t decide between the chewy, caramely, oaty caramelitas (and some may say healthy, oats and pecans are known to lower cholesterol and pecans are good for flagging energy levels, I will ignore the rest of the obesity/diabetes inducing ingredients :p) and fudgy chocolatey brownies. 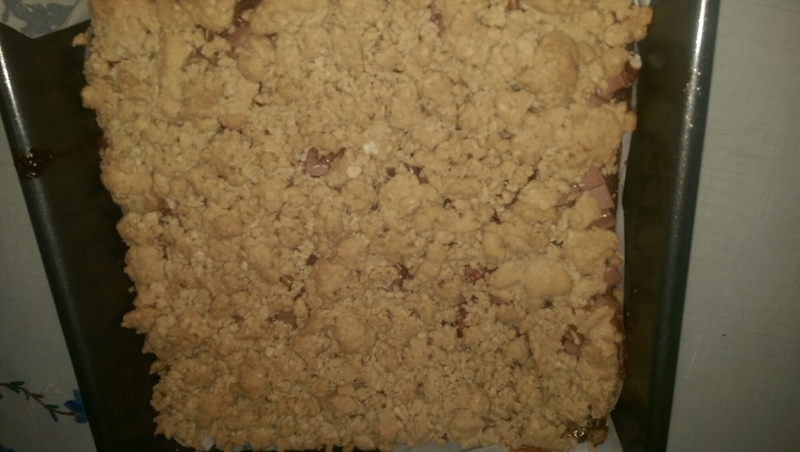 So I decided to combine them together to make this amazing bar. 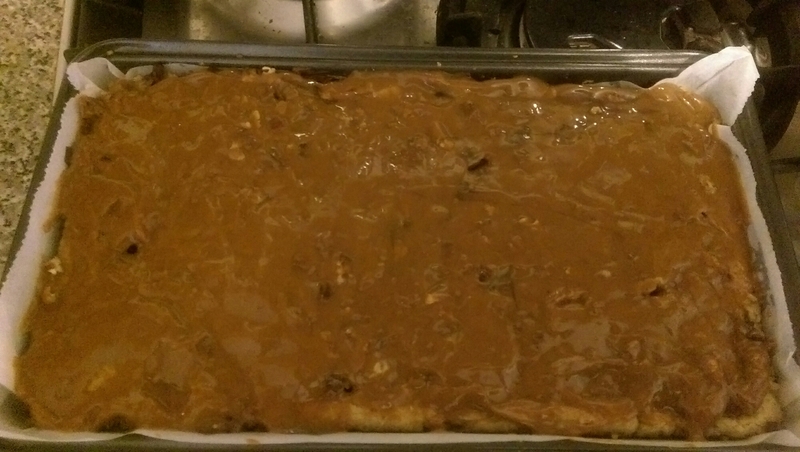 I prepared the caramelita biscuit and brownie mixture (I made half the amount, no nuts/fruit). Once cooled, I left it in the fridge overnight. The thin brownie layer is just enough to give it that fudgy hit, and compliments the gooey caramel and caramelised pecans gorgeously. New fave? Me thinks so! 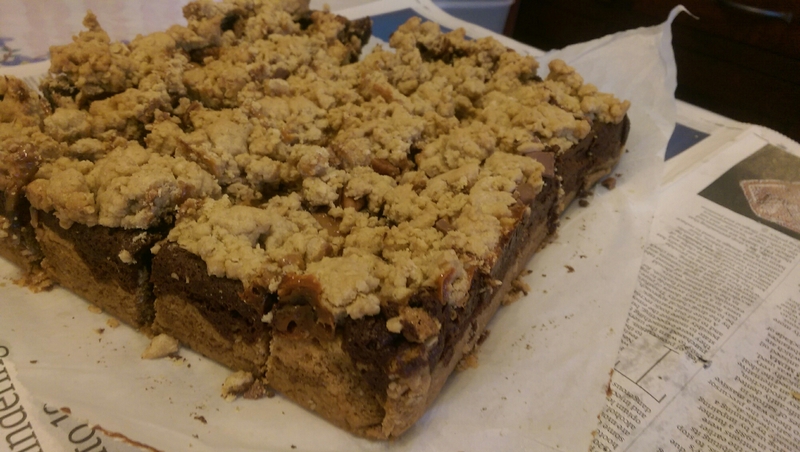 This entry was posted in Bars/Slices, biscuits, brownies, caramel, Cookies and tagged brownie, caramel, caramelita, caramelitabrownie, chocolate, oats on February 11, 2015 by maryambakes. 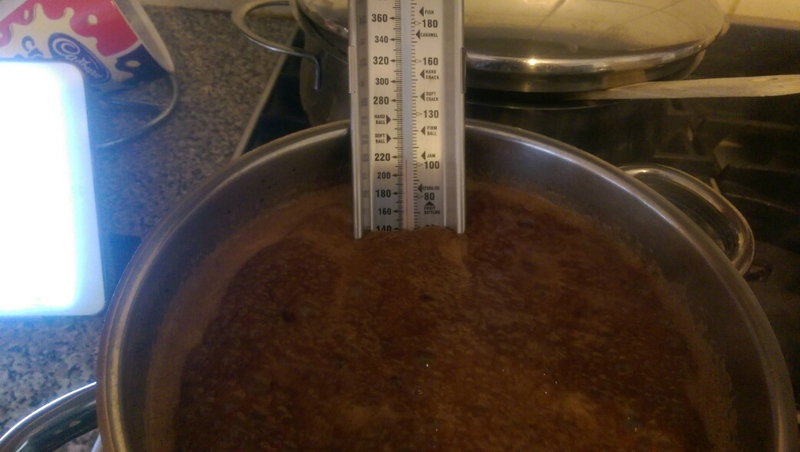 I finally got round to making fudge … and using my thermometer! 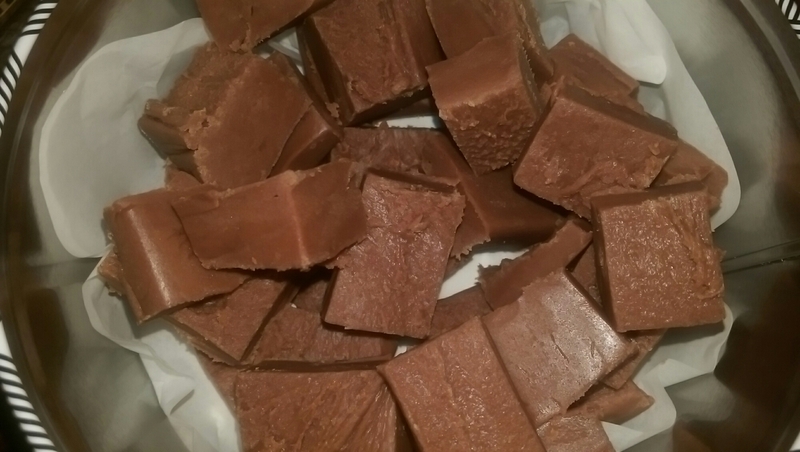 I was prompted to make fudge this weekend after the subject of ‘Armpit Fudge‘ came up. The ingredients are put into a bag and are combined together by placing the bag in your armpit and squishing it using your arms… appetising! Not exactly the fudge I had in mind and the thought of it kinda grossed me out, but suprisingly didn’t put me off … Fudge that is… Not armpit fudge…. That’s a no-no. 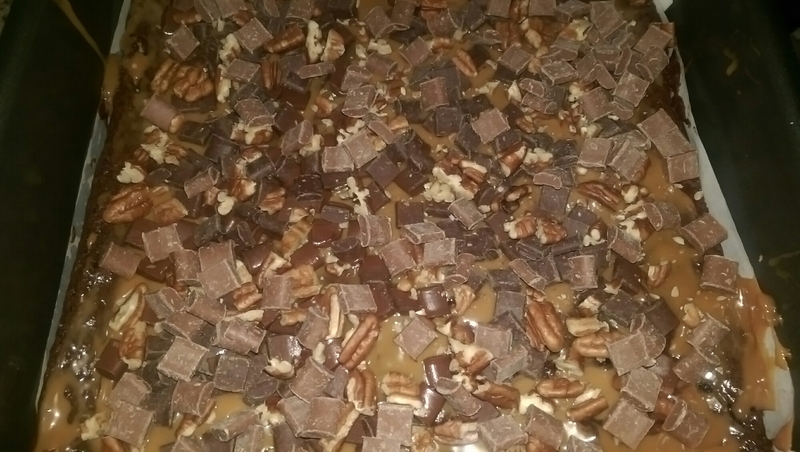 I was looking for a recipe for simple, vanilla fudge when I came across chocolate and peanut butter fudge. 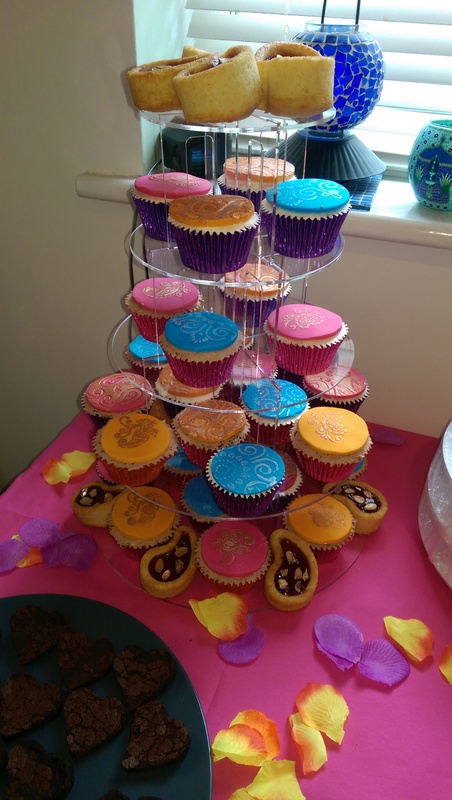 There were quite a few different recipes, some involved mainly melted chocolate and condensed milk with chopped up peanut butter cups, or melted chocolate and icing sugar with peanut butter swirled in. now I can stop complaining about American measurements! 3) Remove the lid and continue to cook, without stirring, until the mixture reaches 234 degrees F on a candy thermometer (soft ball stage). 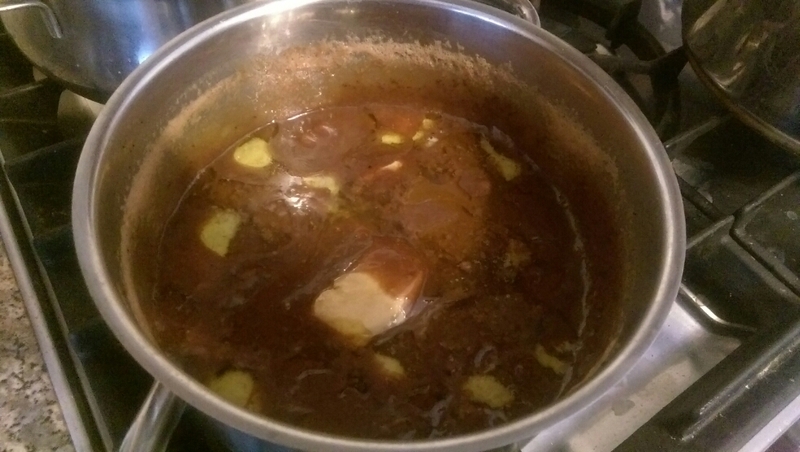 4)Remove from the heat and, without stirring, add the remaining butter, peanut butter and vanilla. 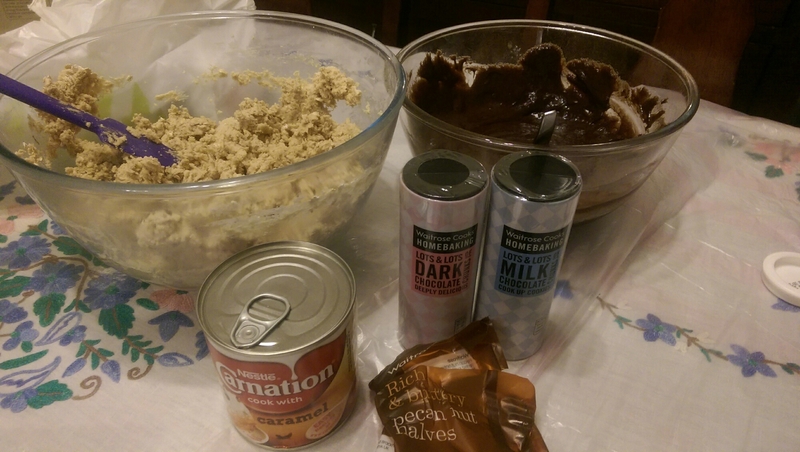 Allow the mixture to sit for 10 minutes. 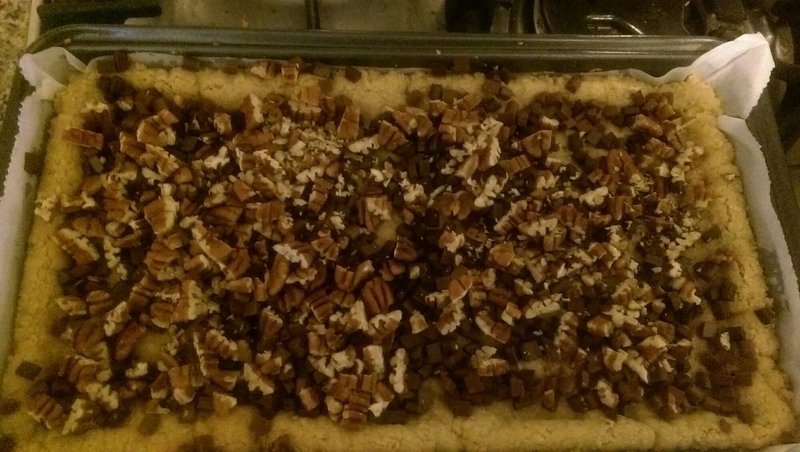 6) Immediately pour the mixture into the prepared pan. 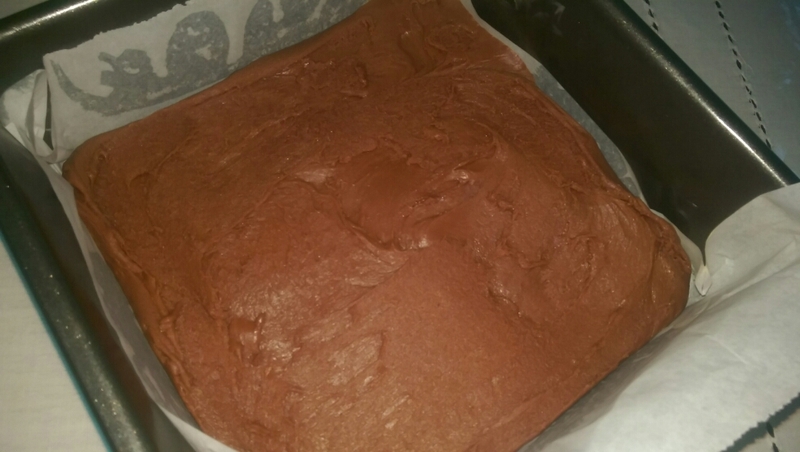 Allow the fudge to come to room temperature, then cover the pan with plastic wrap and chill it until set. 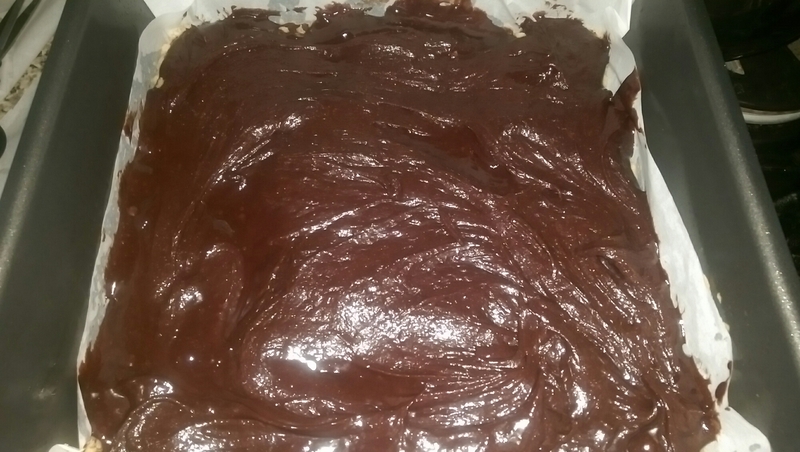 7) Lift the fudge out of the pan and cut into 1-inch squares. 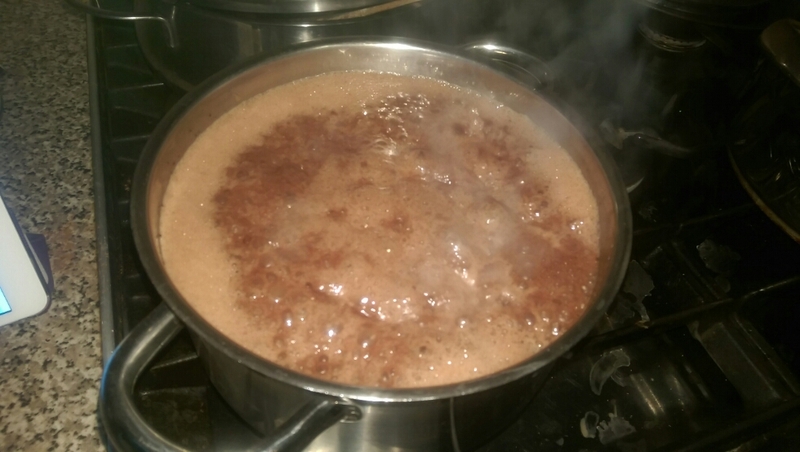 The fudge can be stored in an airtight container at cool room temperature or in the refrigerator. It has a smooth, creamy texture. The flavour isn’t too overwhelming with a very subtle peanut butter flavour. Waiting for it to chill was a pain though (I’m not very patient). 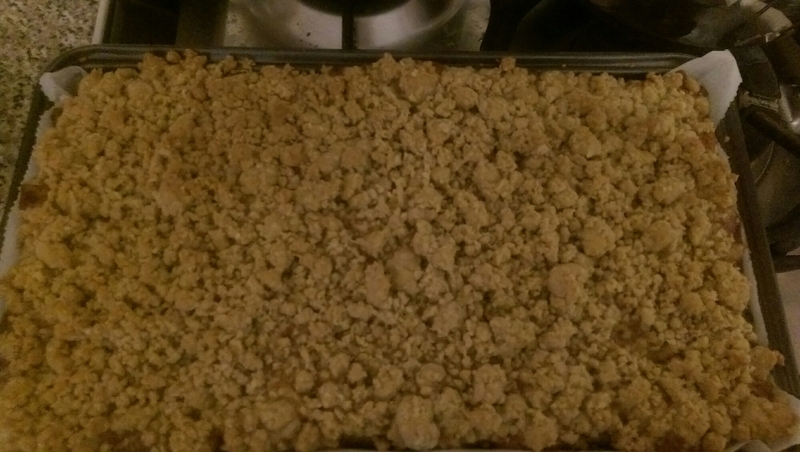 If I was to use this recipe again, I would add more peanut butter as I felt the flavour was underwhelming, I used smooth but think crunchy might add a nice texture. Or I would add chopped up peanut butter cups. There are so many different fudge recipes and flavours out there, and bar armpit fudge, I am looking forward to trying more out. 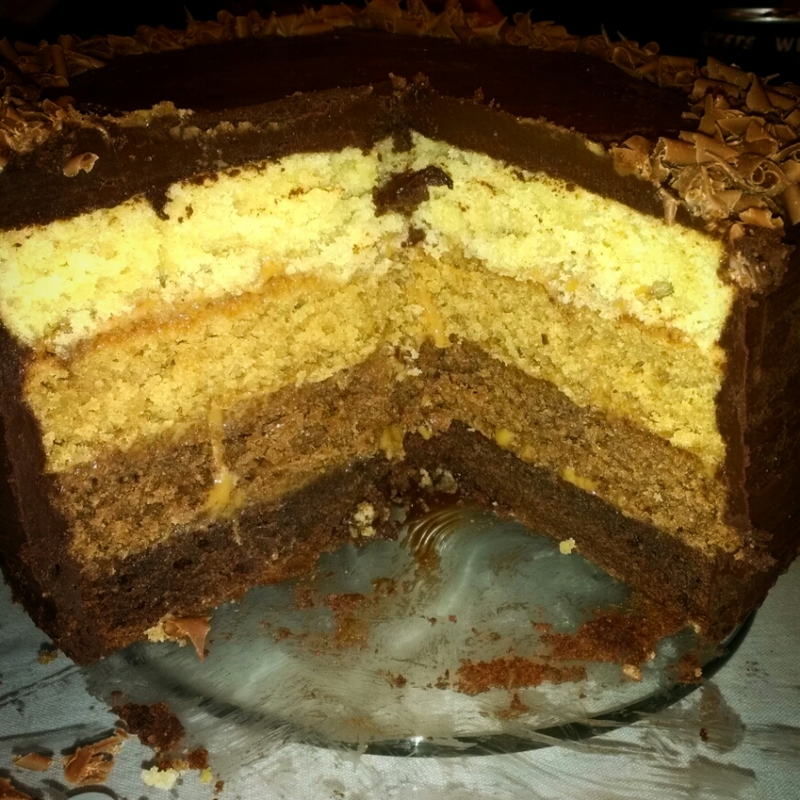 This entry was posted in no bake, Peanut Butter and tagged chocolate, fudge, homemade, nobake, peanutbutter on January 25, 2015 by maryambakes. 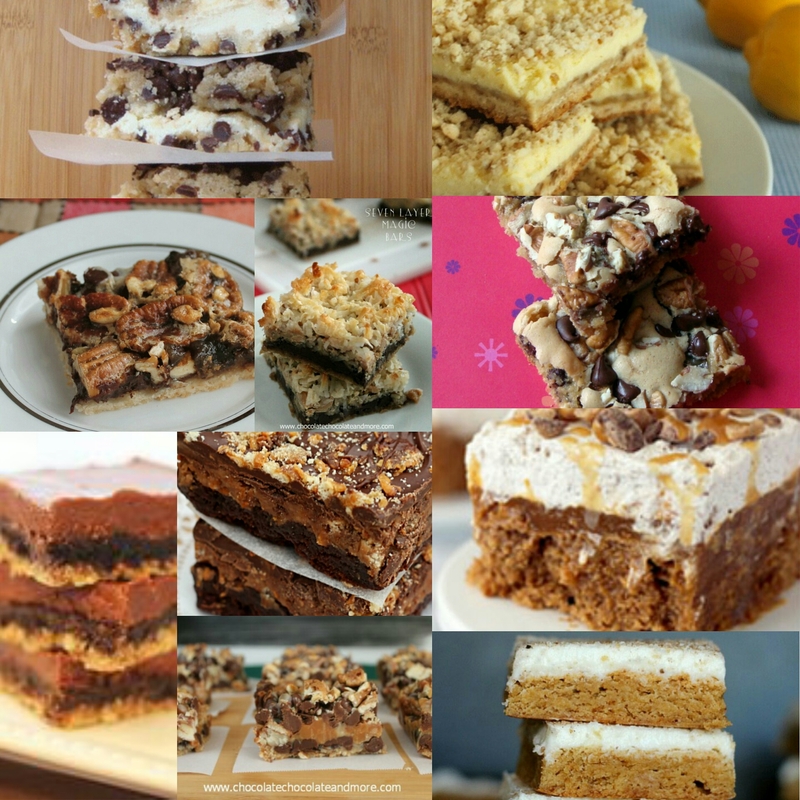 I follow a few American foodies on Facebook, Instagram and blogs and love the different slices/bars they make. They look really enticing with the layers of pastry/brownie/caramel/nuts/jams/cookies/cheesecake etc etc. 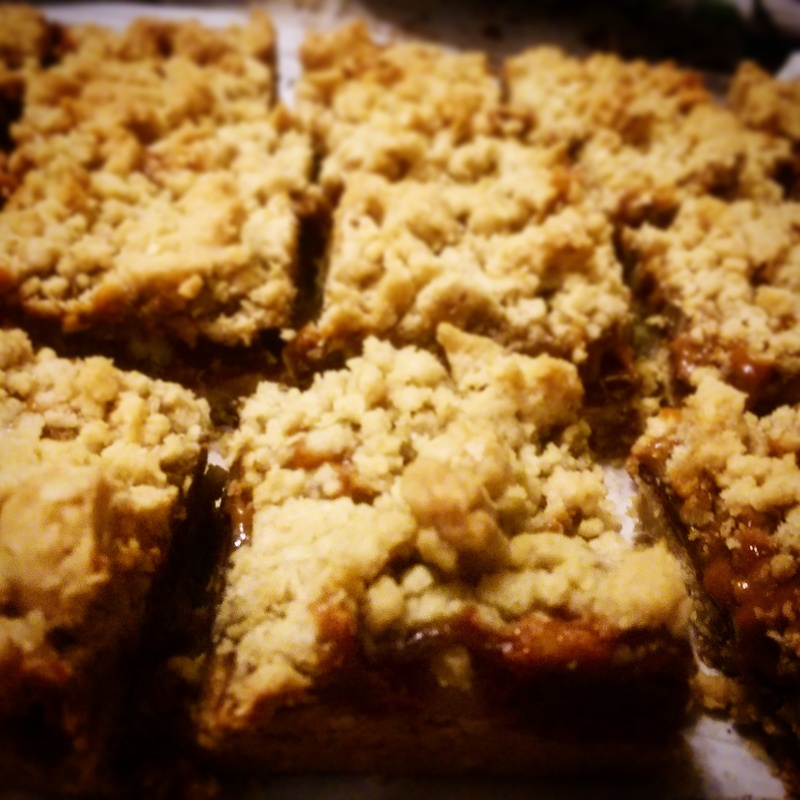 One of my early food memories is a Tri-Level bar my sister made after a holiday to America. My main problem is even though there are numerous recipes out there, I find it really confusing converting cups to grams, as there are loads of different conversion tables which all come up with different results. 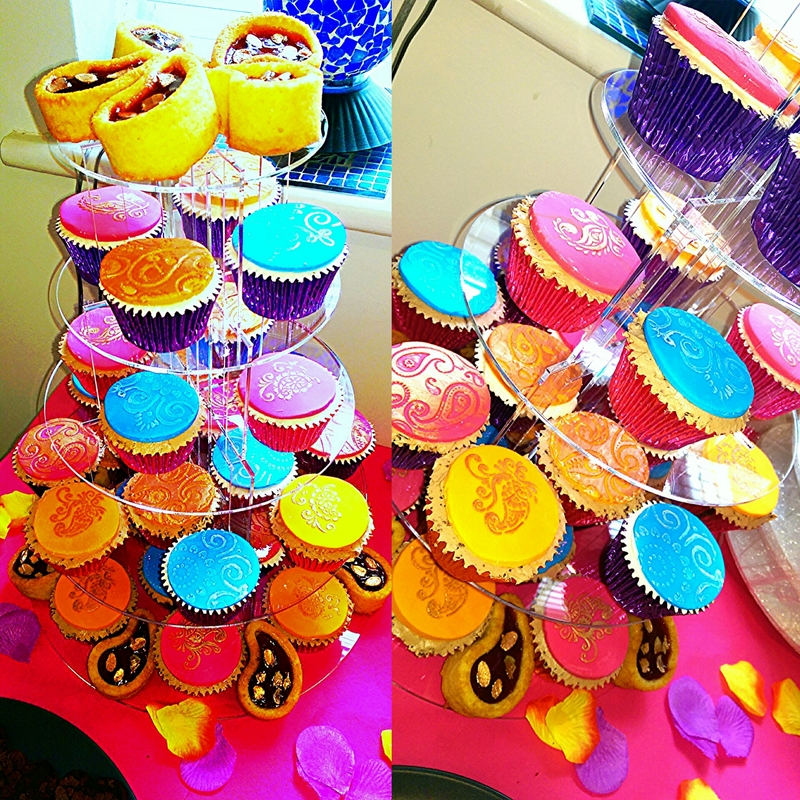 I visited the stall, at the Good Food Cake and Bake Show, for the Outsider Tart who have brought their yummy American baked goods to the UK. 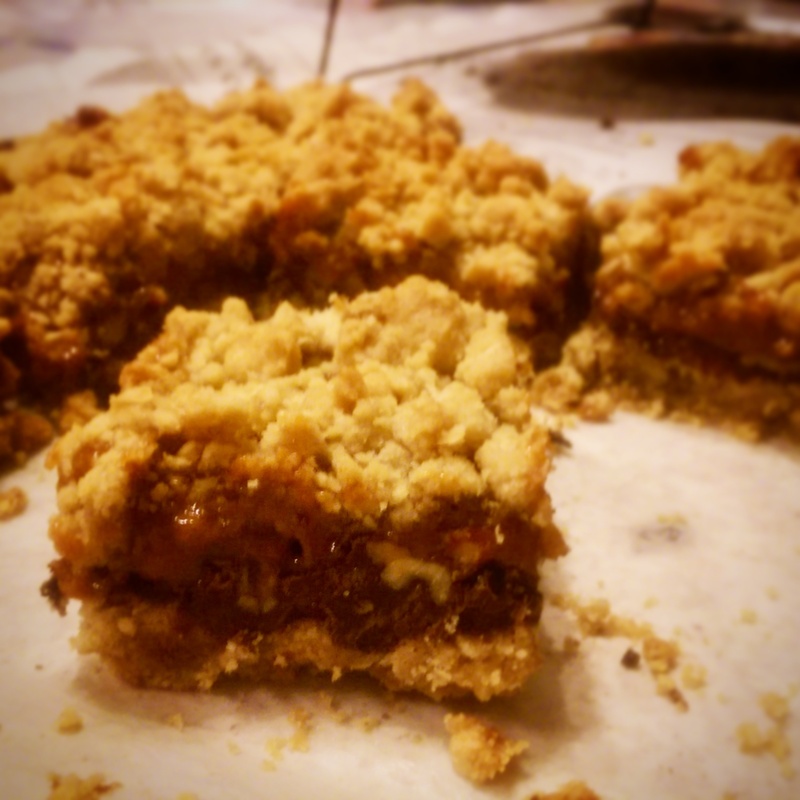 I was able to try a few of their slices and my favourite was an oaty caramelly bar. I later saw these on instagram and knew I had to make them. 7) leave to cool, once at room temperature, leave in the fridge for two hours/overnight. Cut into squares and serve (return to room temperature before serving, though if you can’t wait you can try one…or two). 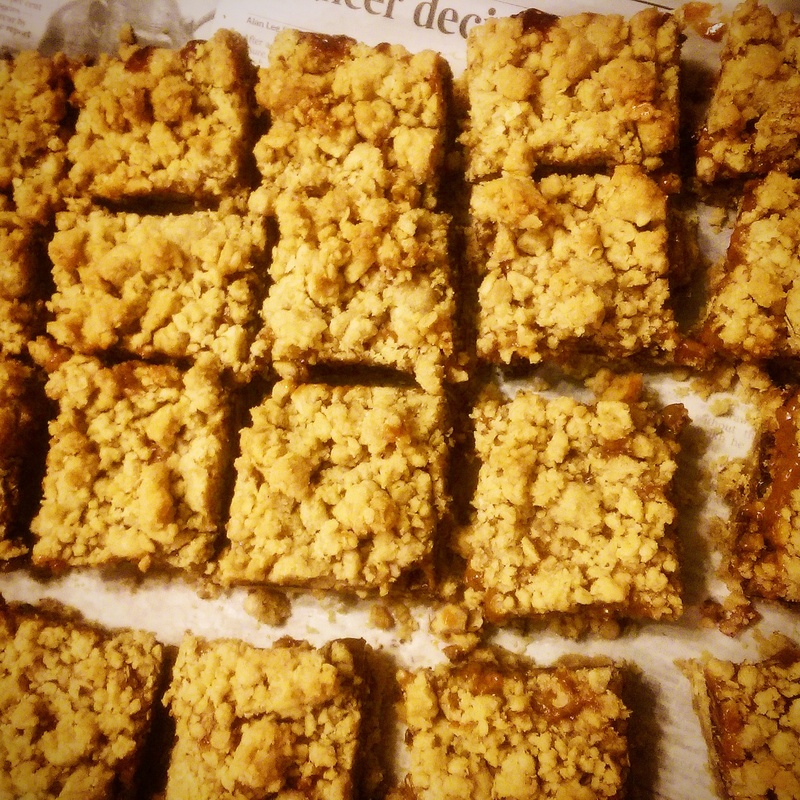 These were absolutely delicious and really easy to make. 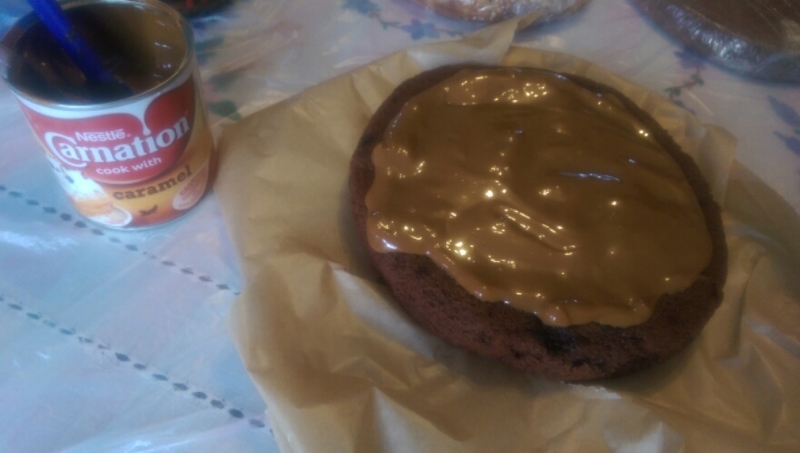 The oaty biscuit base and topping is buttery and has a caramelly taste from the brown sugar, and the caramel/chocolate/pecan filling compliments it so well. 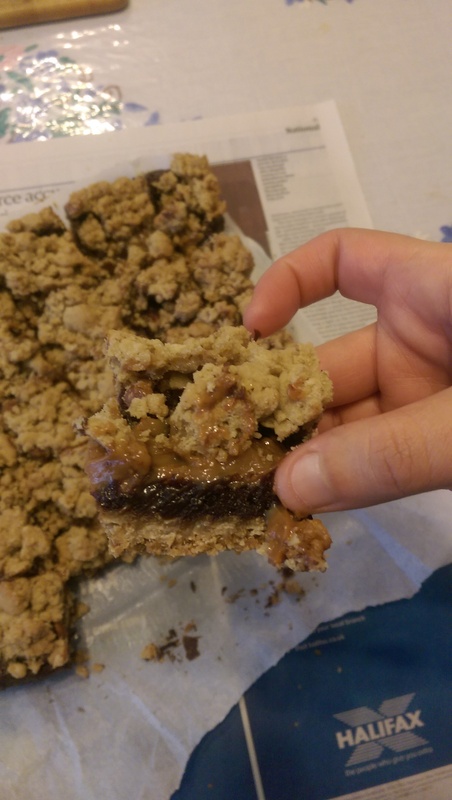 This entry was posted in Bars/Slices, biscuits, caramel, Cookies and tagged bar, biscuit, caramel, caramelita, chocolate, cookies, oats, pecans, slices on January 21, 2015 by maryambakes. This is a family favourite, and I felt it would make a perfect dessert for my families 25th December gathering. 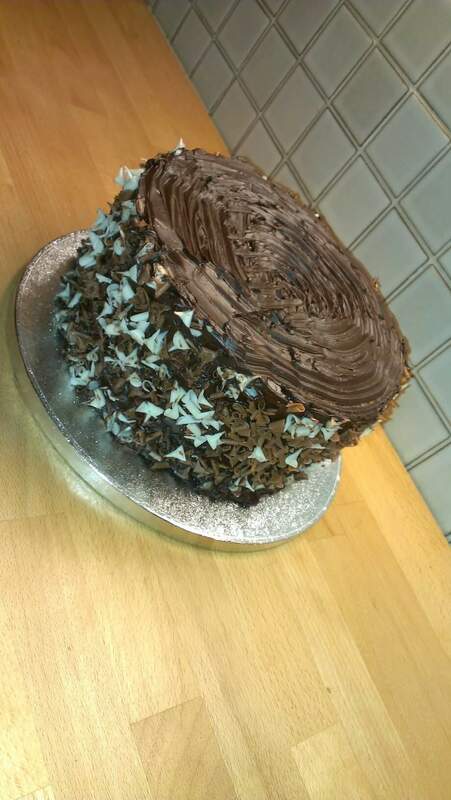 Its a definite crowd pleaser; with a chocolate, vanilla, caramel and chococaramel layer, there’s something to for everyone. 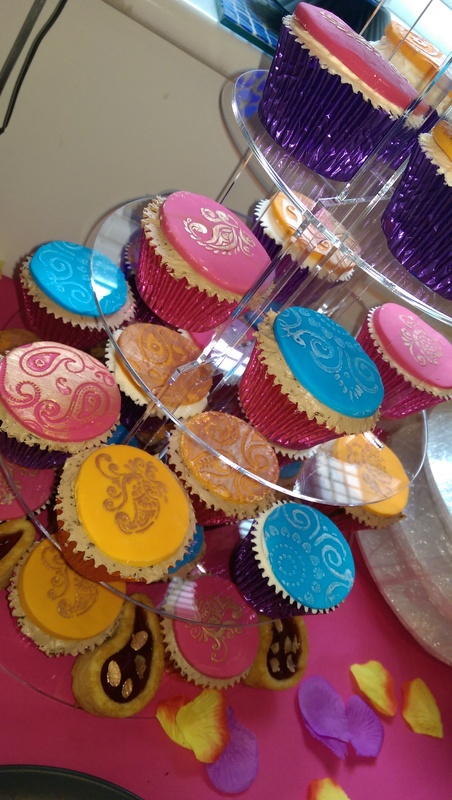 It’s a great way to make a beautiful, impressive ombre cake without all the added food colourings. It’s also suprisingly easy to make. 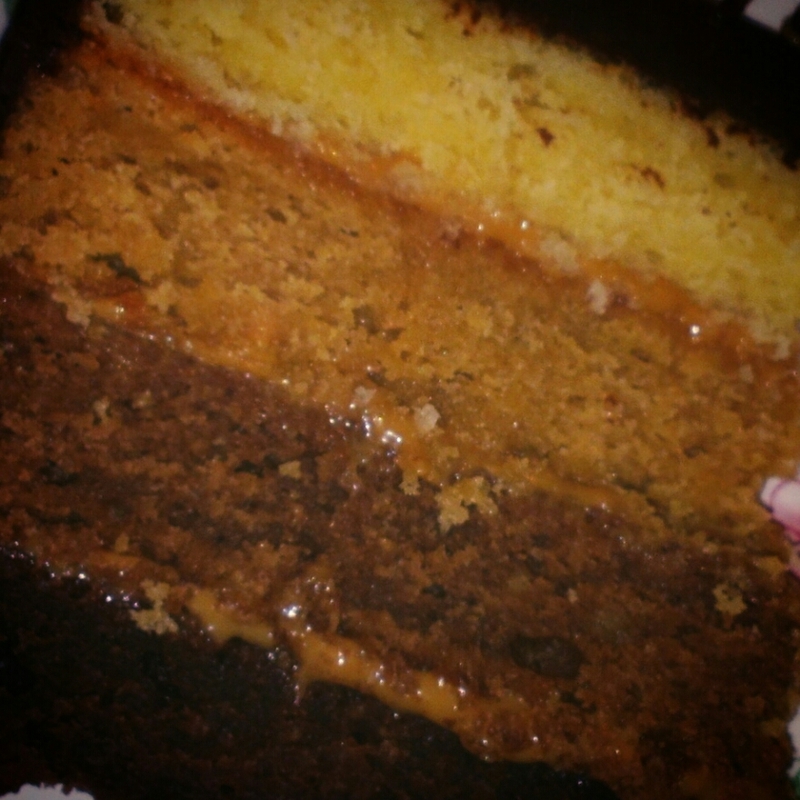 The different layers are fairly easy to make and aren’t too time consuming. I don’t follow the recipe exactly; I prefer to cream the butter and sugar, whisk in the eggs and fold in the flour to give it a spongier finish. 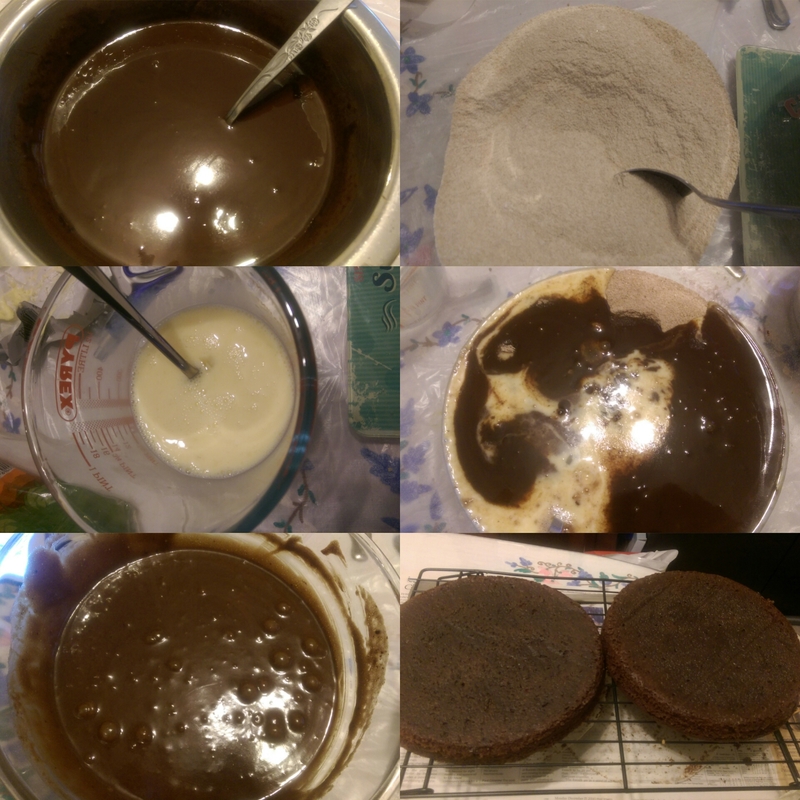 I also find the chocolate layer to be too dense and stodgy so used this recipe (as a two egg/4 oz recipe) and adjusted the quantities for the vanilla layer (again two eggs/4 oz). Again decorating the cake is simple, however, the caramel makes the layers really slidey, so I normally use skewers to reinforce it while ganaching. 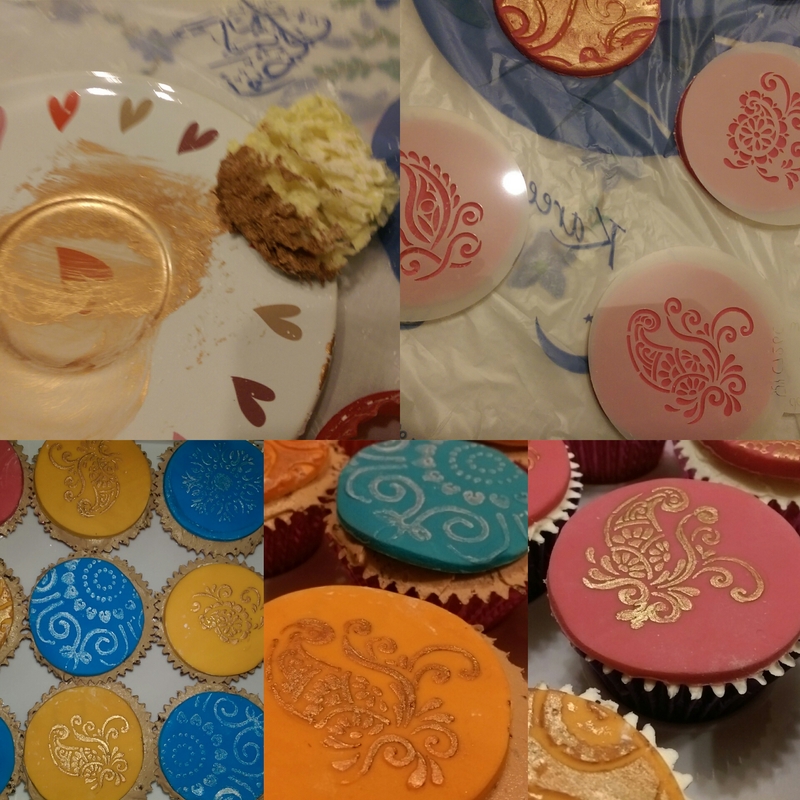 This entry was posted in cake, caramel and tagged cake, caramel, chocolate, homemade, ombre on December 27, 2014 by maryambakes.